4Digital Asia have certainly taken the bull by the horns when it comes to Asian Cinema, and they scored a coup when they released the live action Death Note trilogy in lush two-disc sets. 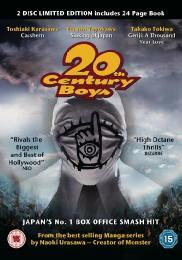 It seems they've done it again, with the release of the latest manga adaptation sensation, 20th Century Boys. 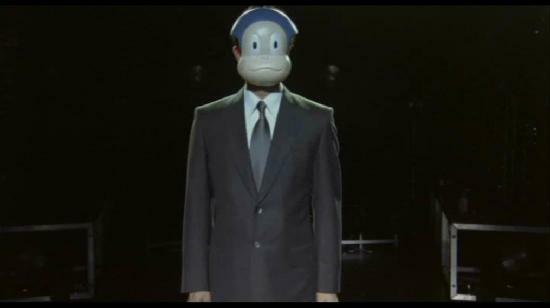 Naoki Urasawa's manga series has garnered quite a following around the world, and the film adaptation was given just as much scrutiny as the recent Watchmen film. This is just the first part of an intended trilogy, and unlike the Death Notes, we'll be waiting quite a while for the next instalment. The second film was only recently released in Japanese theatres, while the third is still in production. It does look as if 4Digital Asia are in for the long haul though; they've given this the Death Note treatment, with two discs and a 24 page booklet in novelty packaging, and they certainly wouldn't do that if they were just going to release the first film only. Unfortunately, they've sent me two DVD-Rs to review. Kenji Endo thought he could change the world with Rock and Roll. Unfortunately, the world wasn't listening, which is how he wound up as the manager of a convenience store in Tokyo, living with his mother and looking after his sister's baby daughter Kanna, who she left in his care before walking out the door one day. In fact, mundanity has struck all the friends he went to school with, and they now work in 'normal' nine to five drudge jobs, raising families and keeping roofs over their heads. How different it was when they were in elementary school in the sixties and seventies, when they played at being heroes, and imagined comic book lives for themselves. They made believe that they were a gang of crime-fighters who took on a world shattering threat and an evil super-villain, and they even recorded their exploits in a 'Book of Prophecies'. Flash forward to 1997, and strange things have started happening in the world. There is a terrifying viral epidemic spreading around the world, and a new religious cult led by an enigmatic figure named Friend is spreading its influence. When one of Kenji's old school friends dies in mysterious circumstances, and a local family just vanishes, it begins to ring alarm bells in Kenji's memory. 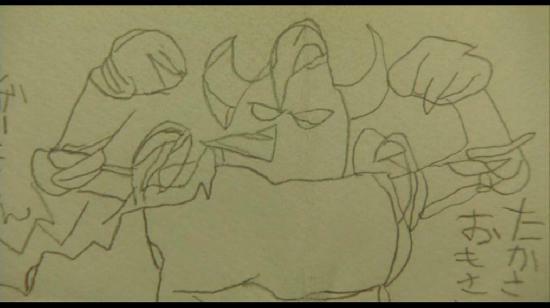 As he reunites with his school friends, they realise that the events occurring in the world bear a striking similarity to those that they had once recorded in The Book of Prophecies, and it seems that the new cult is behind it all, especially when the cult has as an emblem, a symbol that only their gang knew about. Even more worrying is that the final page of the Book of Prophecies describes the end of the world occurring on the 31st of December 2000. With the first disc compressing just under 2½ hours of video onto a single layer DVD-R, and the second just under 2, the technical quality isn't going to be representative of the final retail release. 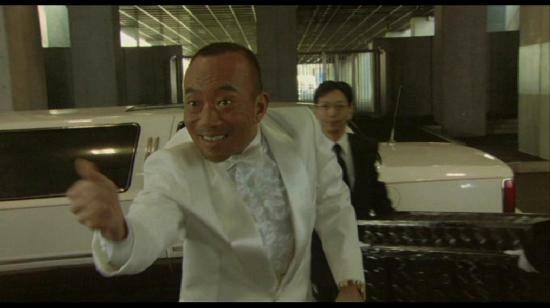 The film is presented in 1.85:1 anamorphic widescreen, with DD 5.1 and 2.0 Japanese tracks, along with optional English subtitles. The runtime indicates a film-PAL transfer, but given the compression, I couldn't tell. I noticed one line of Japanese untranslated, and about fifty minutes in during a flashback sequence, the subtitles are out of sync by about three seconds. Hopefully that can be sorted out before the release date. As mentioned earlier, the retail release will come with deluxe packaging and a 24-page book. I only got the DVD-Rs so I can only mention the on disc extras. As well as the film, disc one has trailers for the three Death Note features, X-Cross, Yo-Yo Girl Cop, Starfish Hotel, and Black Kiss. Note the animated menus with beaucoup T-Rex. Disc 2 has the bulk of the extras. There are 21 minutes of Cast Interviews, where the actors speak about their roles, the manga, and the movie. The Japanese Premiere lasts 51 minutes, but there is little of substance here. It's a promotional event, and has the director, the screenwriter and the creator of the manga, on stage with 10 of the cast in front of a mock up of the robot from the film, supplying shallow soundbites. They then adjourn to the cinema, where more soundbites are forthcoming. The Paris Premiere, also the World Premiere is a little more enlightening. This lasts 35 minutes, and begins with the press conference, in front of the Mona Lisa at the Louvre. European interviewers require a little more than just fluff from their targets, so the comments here are worth listening to. Then for the final 20 minutes, the attention shifts to the cinema where the screening is. The Press Conference Promo is a 5-minute trailer. With it are the two theatrical trailers and 5 TV spots, the UK trailer, and most tantalising of all, the trailer for Chapter 2. I wasn't impressed with the extras, there's too much PR fluff and not enough substance. The film could have used a commentary and there ought to have been a making of documentary at least. The sound quality and the camerawork in what we do get leaves much to be desired, while the subtitles could use a little proof reading. At this point, what I really want to say is 'watch it and make up your own mind', which is a lousy attitude for a reviewer to take. 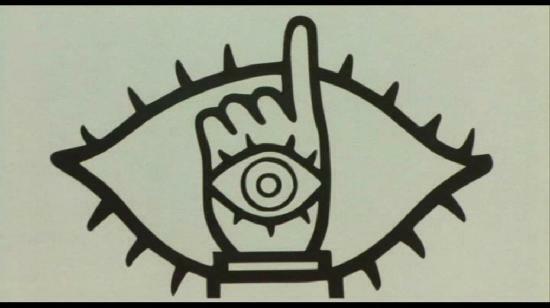 The thing is that having watched 20th Century Boys, I'm still uncertain as to quite what to make of it. The big thing is that I've never read the manga; indeed I was unfamiliar with the whole phenomenon before the DVDs fell into my in-tray. In a way, having no preconceptions is a good thing, but it also means that it's a lot like jumping in at the deep end, with no grounding and no idea what to expect. 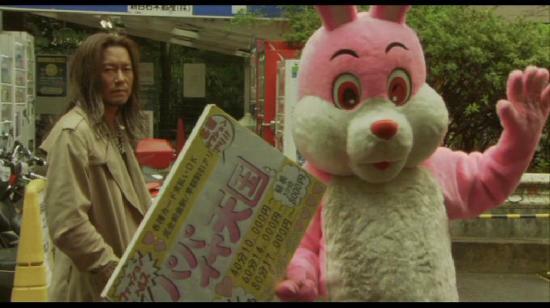 The film doesn't help much, as 20th Century Boys is very much a mystery, full of dead ends, wrong turns, red herrings and unexpected twists. 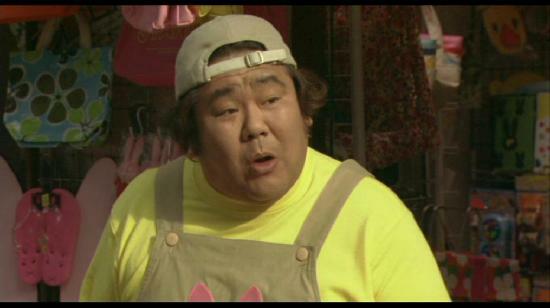 It's a compelling mystery at that, a ride that you won't regret being on, but you will spend 90% of the runtime looking just as nonplussed as the protagonist Kenji Endo. 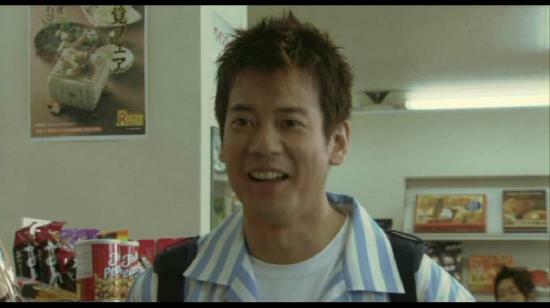 Incidentally, actor Toshiaki Karasawa has got a good line on perplexed ignorance. If ever this film is remade by Hollywood, Keanu Reeves is a shoe-in. It's also an action sci-fi movie with a difference; it's set in the real world. The heroes and villains aren't the buffed Hollywood megastars, they're the shopkeepers, accountants, and public servants, those people who spend more time worrying about earning enough to support their families than they do about saving the world. It's a nostalgic gold-tinged childhood memory that sparks it all off. As children are apt to do, they had a gang, and a secret base, where they got together to play, pretend, and make up stories. Only now, 30 years on, one of those stories is becoming reality. The mystery is, just how and why, and more importantly who is responsible. It falls to a failed rock star turned convenience store manager to figure it all out, and he has a hard enough time remembering last week, let alone what happened when he was seven years old. Hence all the false starts, wrong turns, and blind alleys in the mystery. It's also why this film seems at the start so patently absurd. How can a global terrorist conspiracy, an insidious cult, and random acts of terrorism be connected to a storybook written by children back in the sixties and seventies? It's sparked off by the disappearance of a local family, and the mysterious death of one of their number, but that doesn't make it any more absurd of farfetched, or that these rather mundane characters are the ones that have to figure out what is going on. It's also a long and convoluted ride, the film runs to two and a quarter hours, and much of the runtime is perplexing and confusing. But, as the time passes and the story unfolds, the tone of the film changes from absurd to serious, then from serious to ominous, as the threat deepens and becomes more personal for Kenji, and the spectre of the peril becomes more terrifying. By the end of the film I was hooked, and the conclusion was so stunning, that I had an irrepressible need for Chapter 2 right now. If that is what the first film is supposed to accomplish, then it succeeds brilliantly. With its examination of terrorism and prophetic cults, it feels at times like a cross between Fight Club and V for Vendetta, but taken as a whole, 20th Century Boys is very much its own animal. The thing is though, that this is all set up, this first film will stand or fall depending on how the story continues in the next film, and how it will be concluded in the final part of the trilogy. It doesn't stand alone all that well, hence my wishy-washy grade. If you buy into the 20th Century Boys phenomenon, make space for three cases on your shelf, not just one.